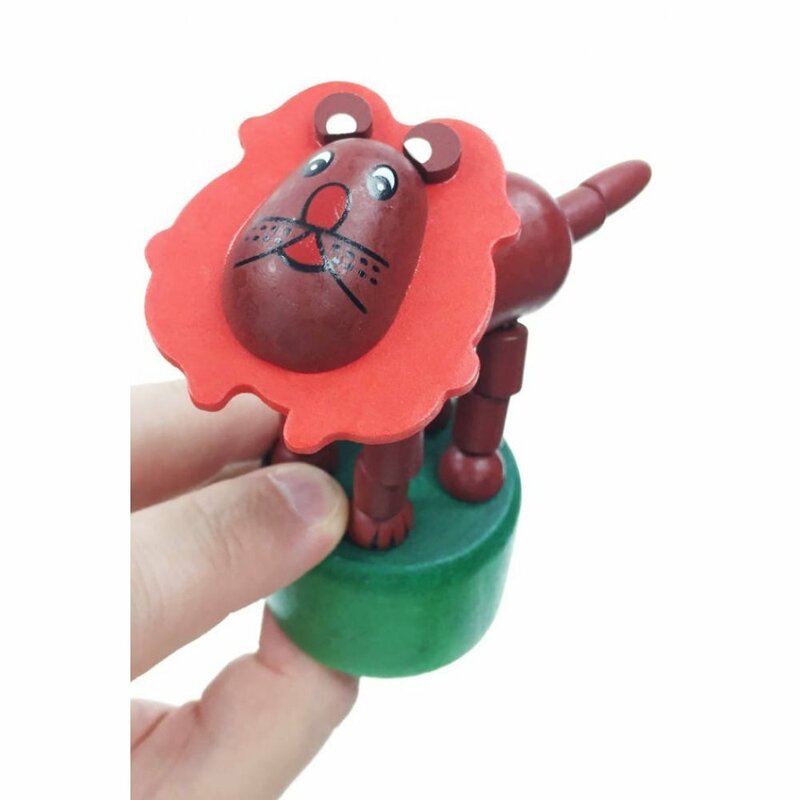 Push the base of our cute Leo the Lion to make him dance! 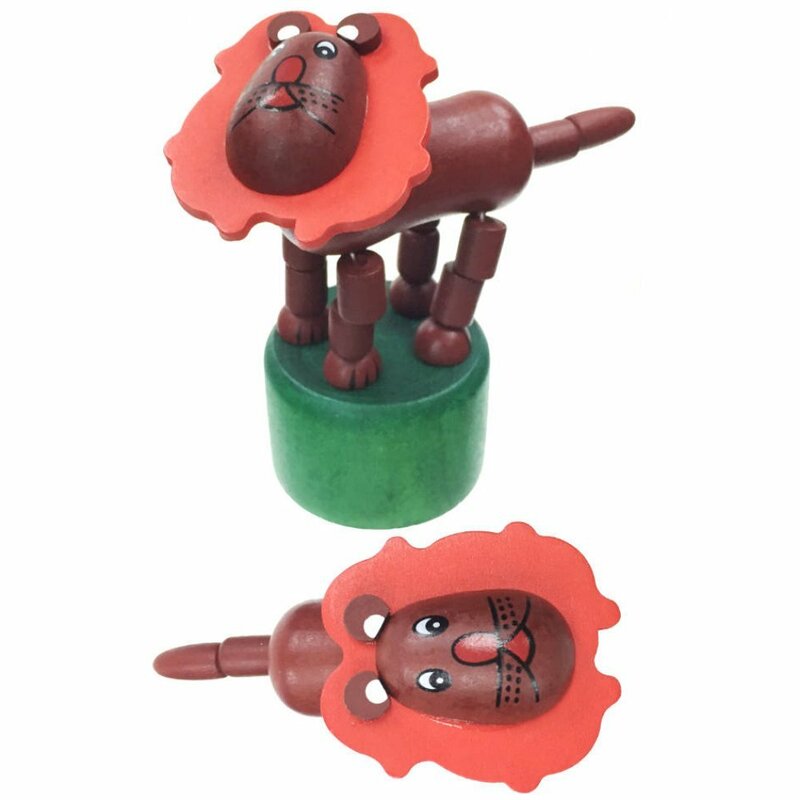 Our classic wooden push puppet is brown with a large red mane. 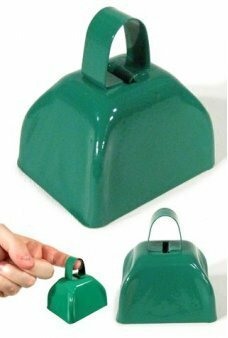 Just push your thumb under Leo's green base to make him wiggle and collapse. Release your thumb or finger and the magic Lion pops upright again. 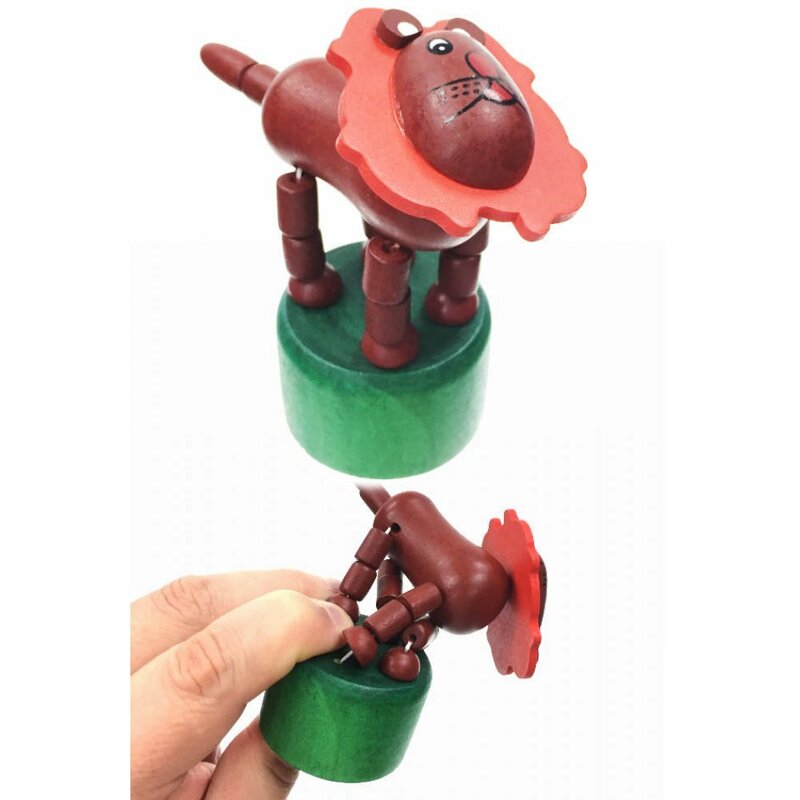 Collect all of our cute Push Puppet toys and put on a Safari puppet show! 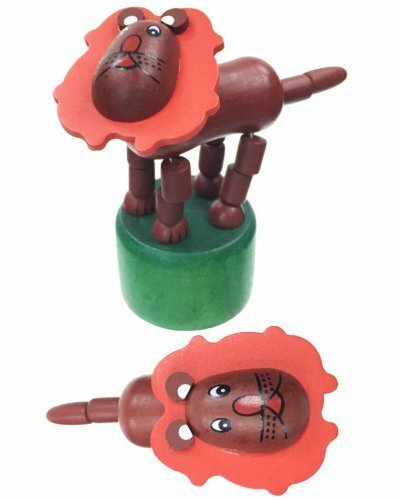 Type: One Wooden Lion Toy - Hand Painted - No Batteries Required! This cute orange Froggie jumps on his big red feet when you wind him up. This classic tin ..
Jack-O-Bop wears a happy pumpkin smile, cause he loves to dance! Our dancing Jack-O-Lantern is brigh..